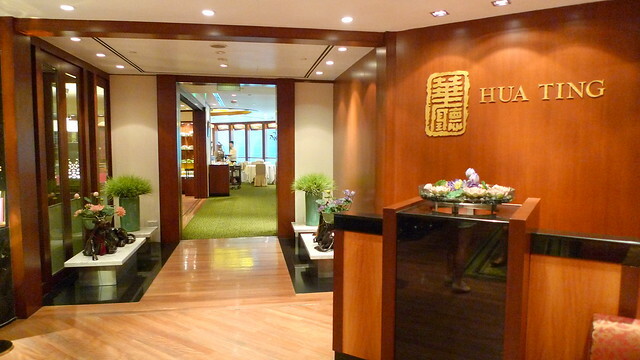 One of my most favourite dimsum places in Singapore has to be Hua Ting, a Chinese Restaurant with an illustrious background situated in Orchard Hotel. It also does help that my parents subscribed to the Millenium Group of Hotel’s privilege card aka ala carte card, which gives a 50% discount to participating hotel restaurants when dining in 2 pax, 33% off when dining in 3 pax, 25% off for 4 pax and 20% off thereafter. 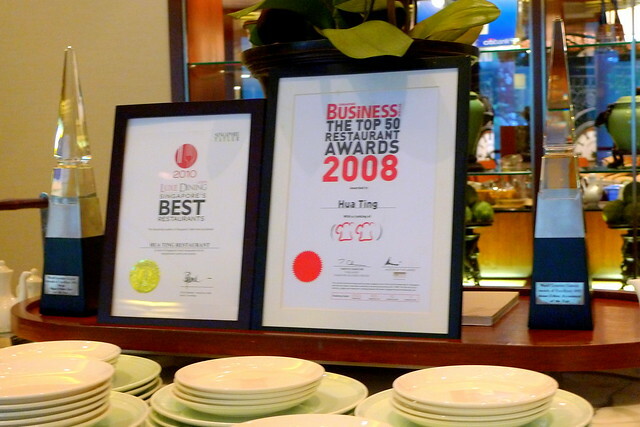 Participating hotels under the Millenium Group include Grand Copthorne Waterfront Hotel, Copthorne King’s Hotel, Copthorne Orchid Hotel, M Hotel and Orchard Hotel. I think it’s a pretty good card to subscribe to as you get 1 night’s stay in any of these hotels for the year and a stack of vouchers to use for these hotels, in addition to the dining benefits. If I’m not wrong, it costs around $500 odd for a year’s subscription. With this discount card in hand, dim sum lunches over at Hua Ting has always been rather affordable affairs, and I would normally spend in the range of between $15-$20 when I go in 4 pax. Just imagine what the price would be if I had just gone in 2 pax, though there would be the inherent disincentive of being unable to order a wider variety of dim sum. 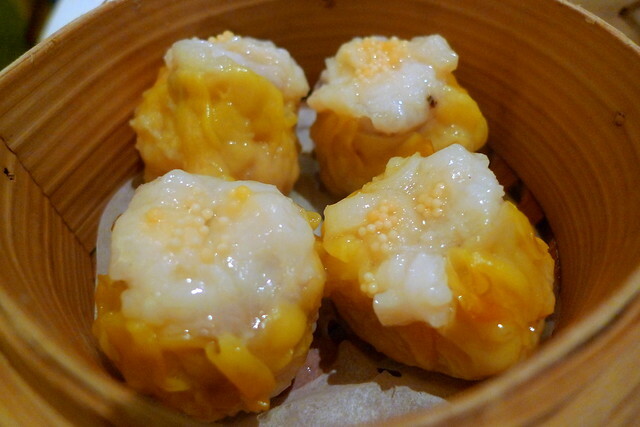 One good thing about Hua Ting is that they price their dim sum by individual piece so you can opt for 4 pieces of dim sum in a basket which conventionally comes in 3 pieces. I shall keep this post short and sweet, focusing only on the more delectable items. I really liked the Har Kows here, the skin isn’t too thick. The prawns are fresh and succulent. 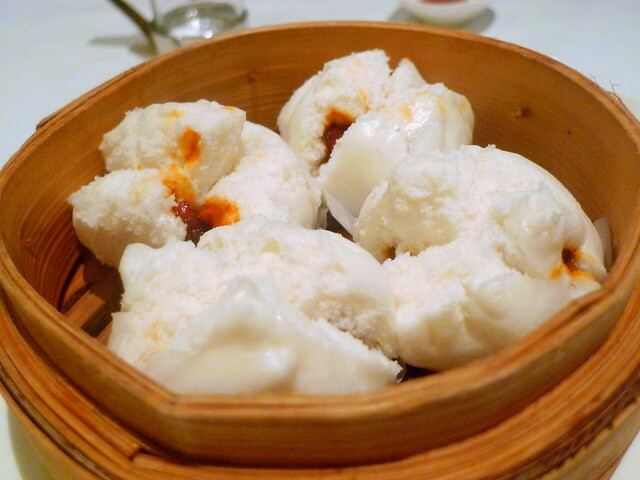 CJ enjoyed the Char Siew Buns the most of all the dishes today. I have to admit it’s pretty good. 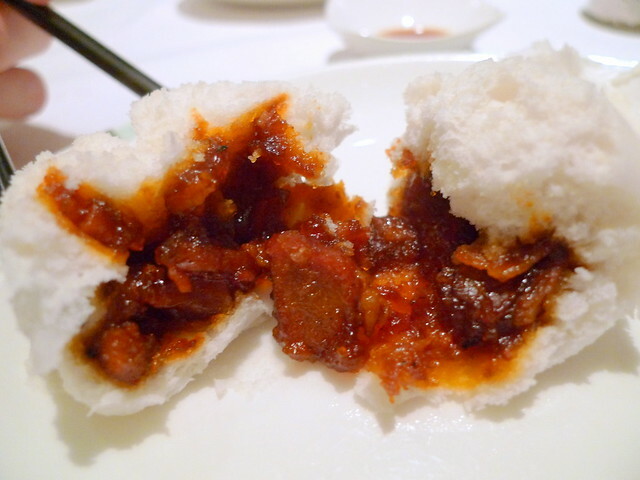 The bun is airy and the char siew is a nice mix of sweet and savoury. 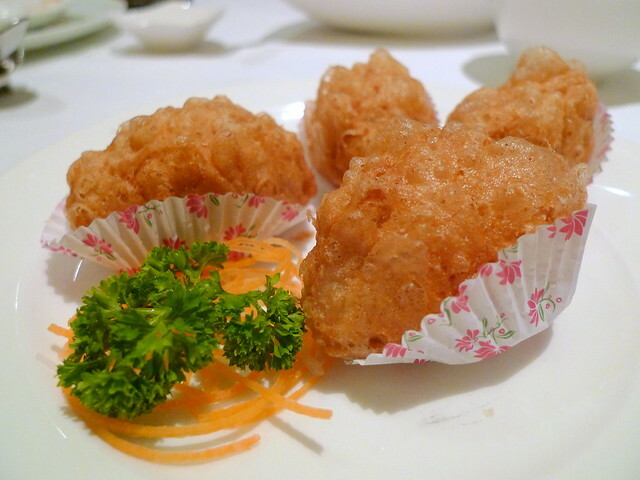 The Deep Fried Yam Pastries with Minced Pork and Prawn was fair. Deep Fried Bean Skin Roll with Prawns was a tad dry, nothing special. 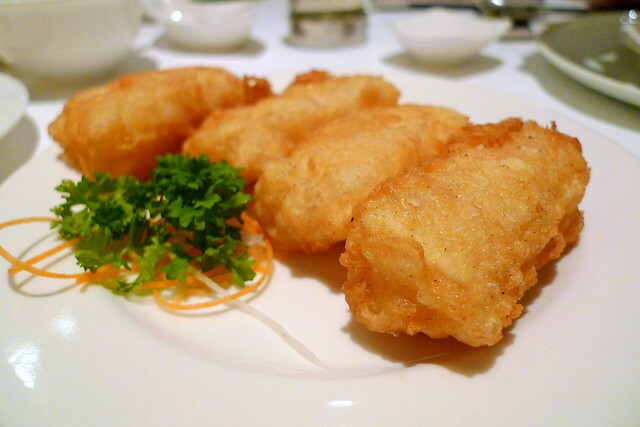 Deep Fried Prawn and Mango Rolls was not uncommon either. 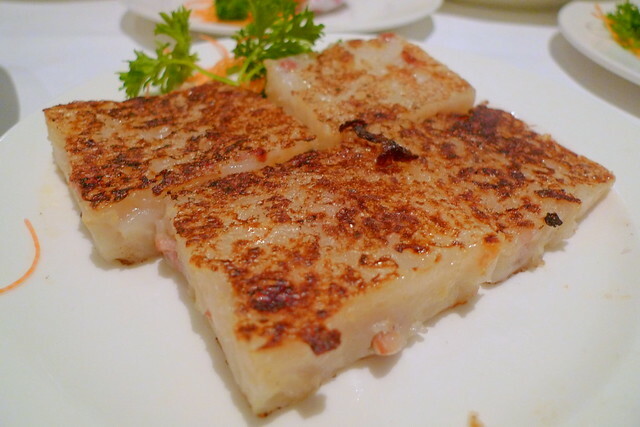 Steamed Carrot Cake with Conpoy was pretty good. I preferred this over the Pan-fried version. 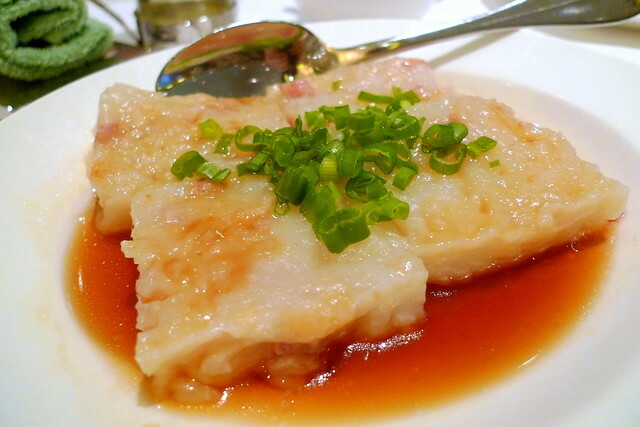 Steamed Cheong Fan with Sliced Fish is pretty special since the filling is usually Char Siew, You Tiao or Prawns. I thought this was very well executed, the cheong fan having the texture of smooth pig fats and sliced fish going well with the light sauce. 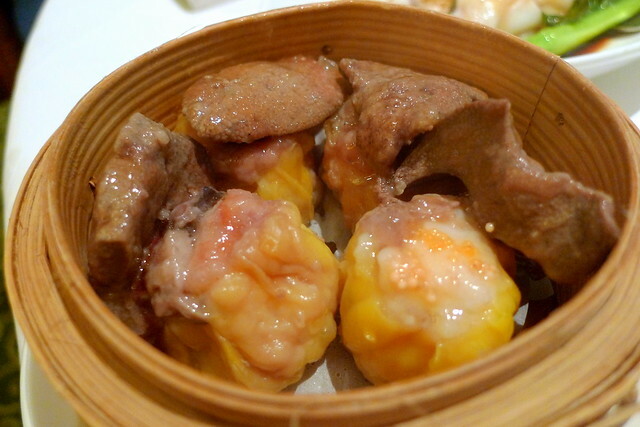 Steamed Siew Mai with Pig Liver, just a minor tweak to the steamed Siew Mai though I didn’t think the liver added any value to the Siew Mai. 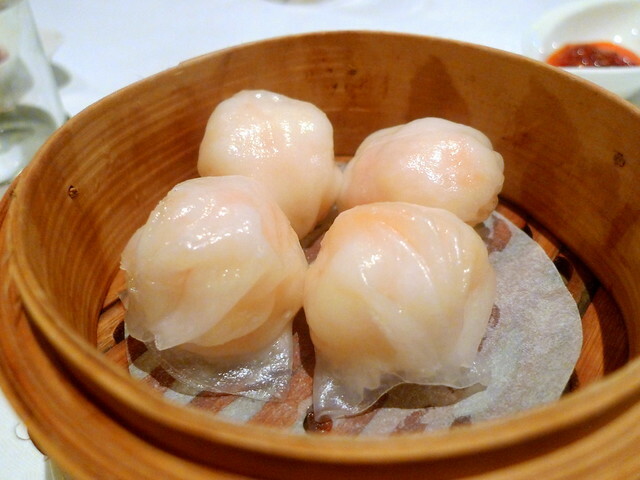 Steamed Siew Mai with Fresh Scallop was great. 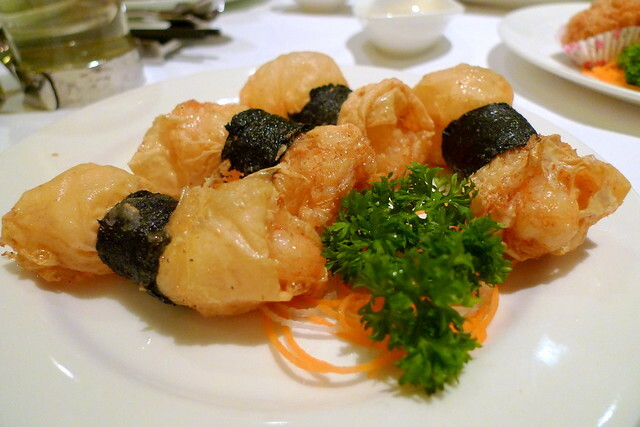 Lots of crunchy prawn fillings and a nice umami flavour. 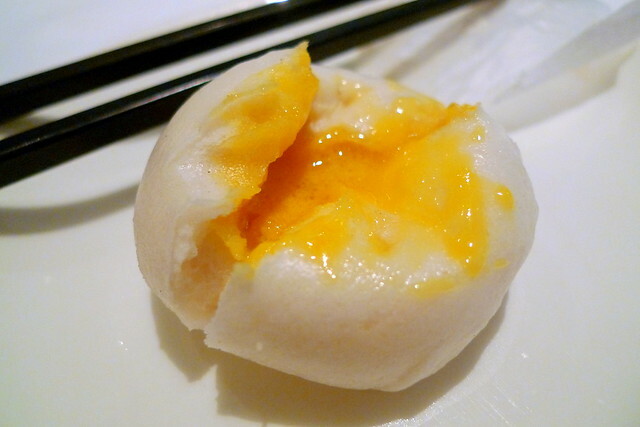 I find Hua Ting really does well in delivering it’s dim sum staples. 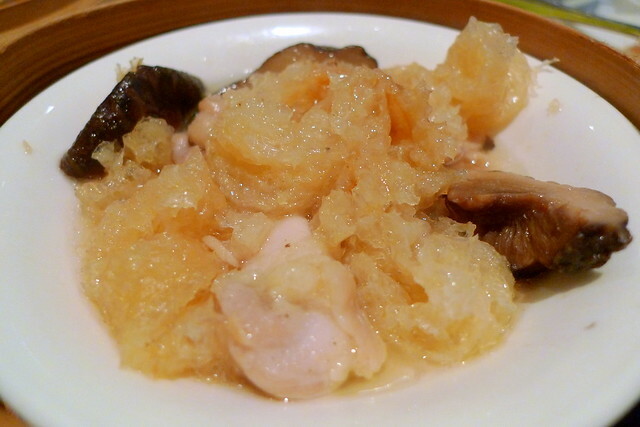 Steamed Chicken with Dried Fish Belly. 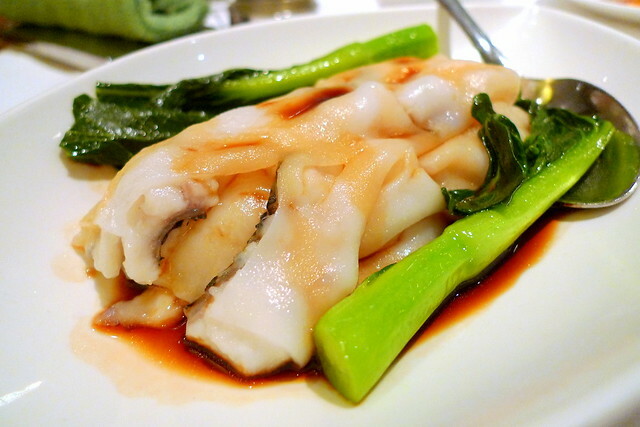 Wasn’t taken by the steamed chicken but I liked how the sauce complemented the springy fish maw. 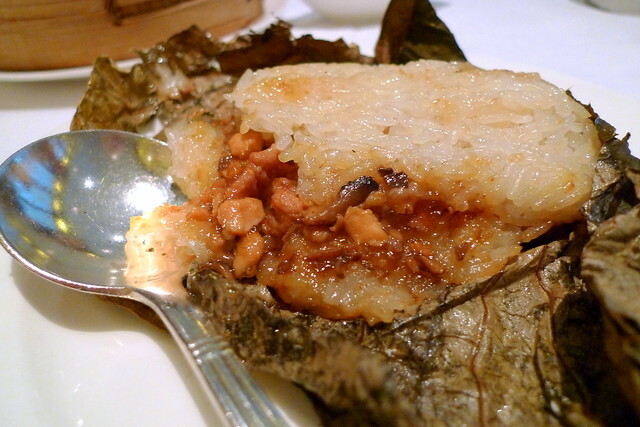 Traditional “Lo Mai Kai” wrapped in Lotus Leaf was unsatisfactory. The rice was too dry and tough. Hua Ting has revamped its dim sum menu since my last visit and though I’m missing some of the “old” dishes that are unavailable now such as the Char Siew Sou and the Steamed Mushroom stuffed with Scallop, Hua Ting still does a great job with the dim sum essentials, (essentially anything that is steamed with prawn). 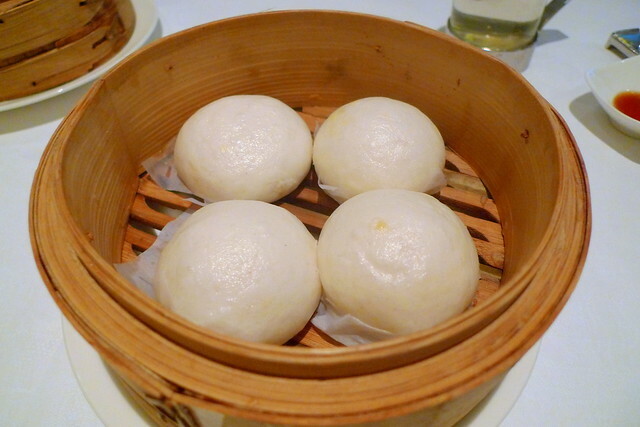 Categories : All YumYums in my TumTum, Chinese, Cuisine Type YumYums, Dim Sum, Location of YumYum, Orchard, Yummy! yeah i have been dying to try royal china, wah lok and yan ting! somehow or another, i haven’t been to any of the paradise grp’s eateries yet but i guess it’s about time. i’m such a laggard haha.